Good landscaping mulch is a must have for any landscape environment, and we have the best. 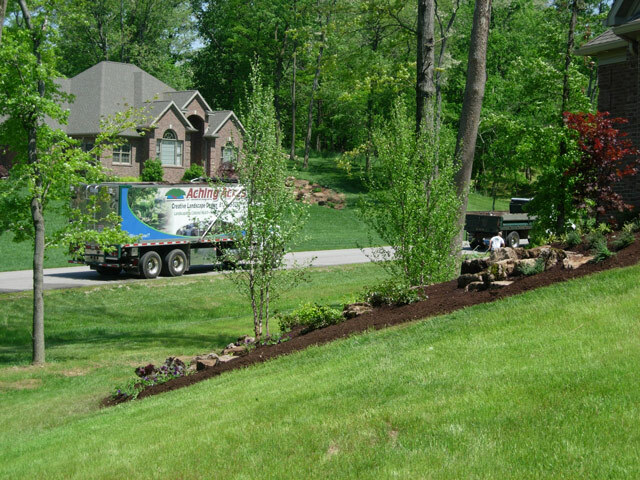 Proper use of a good hardwood-based mulch will help keep plants alive longer, repel insects, and beautify your home and landscaping. We begin with the best types of ground harwood. 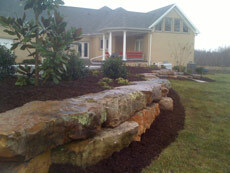 Mulch retains moisture for your plants and helps to keep insects at bay. 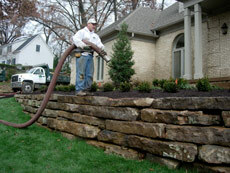 Next we dye our mulch with environmentally friendly dyes at our own facility right here in Evansville Indiana. 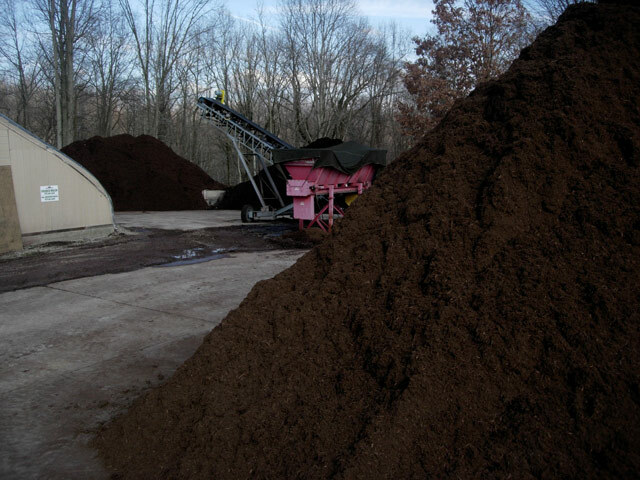 Dyed mulch will simply retain it's color longer than non-dyed mulch, and let's face it who has time to mulch two or three times a year? Our mulch will retain it's color up to twice as long as non-dyed mulch. Aching Acres Express Blower Service can make quick work of any size mulch job saving you time and money. 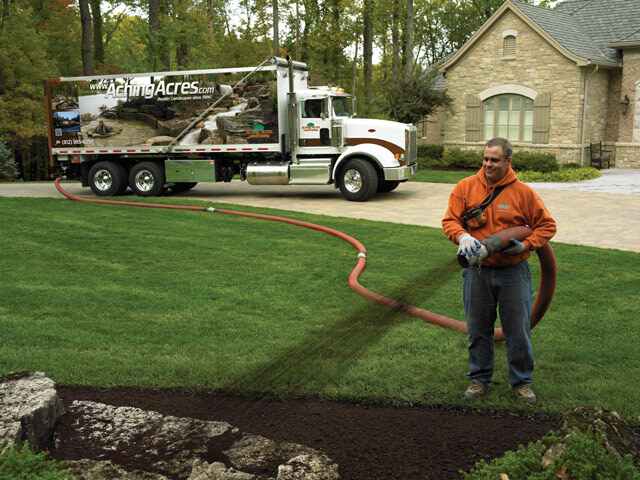 With hundreds of feet of blower hose, mulch trucks stay off your lawn leaving your yard untouched. And it doesn't stop at mulch. 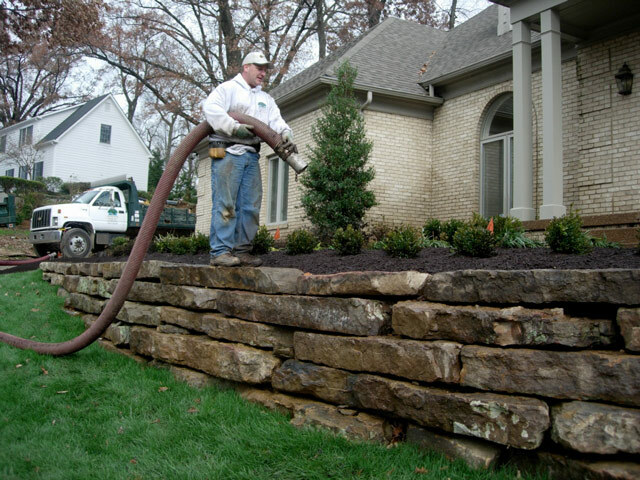 We can blow in a variety of material for all types of projects. 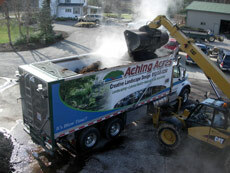 Check out our page on mulch and material blowing for more information. Call us to schedule mulch service, delivery or pick up. We provide delivery service as well as installation, if you prefer to have bulk loads delivered, just give us a call. 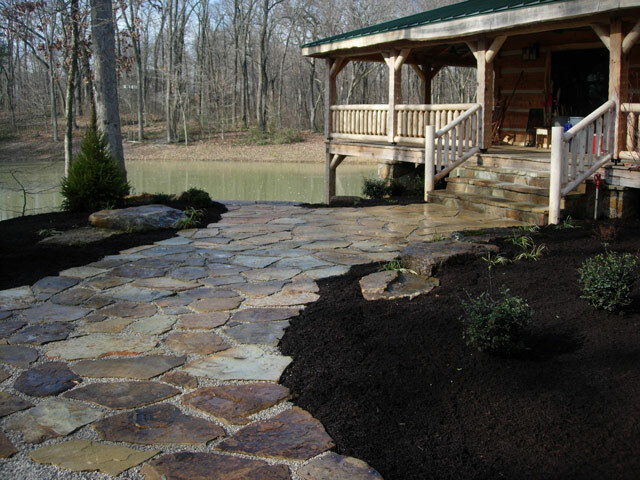 For delivery, we service the entire Indiana, Illinois and Kentucky tri-state area. 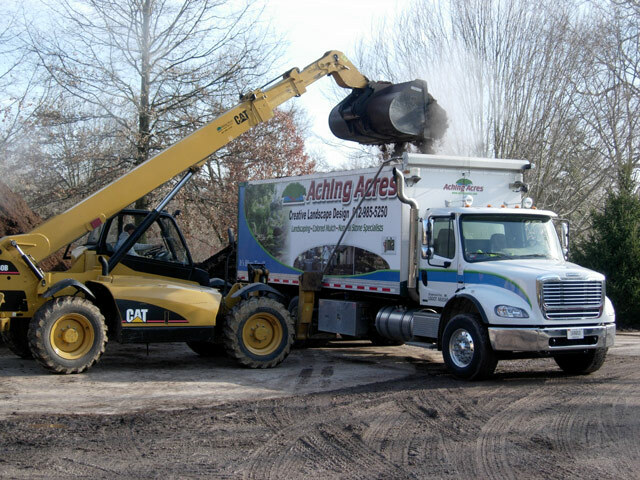 If you prefer to pick up your own mulch, just give us a call for available pick up times and bring your truck or trailer to our West side Evansville location. Our mulch blowing service will save you time and labor on your seasonal mulch installation. 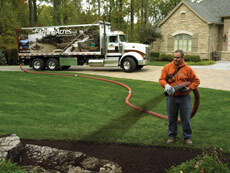 Blow mulch is quicker, cleaner and more efficient than traditional mulch installation processes.